The Notebook, based on the Nicholas Sparks novel of the same name, tells the story of a young couple's romance. Their tale is being read to an elderly woman at a nursing home by her male companion, who may or may not have something to do with the young lovers' story. 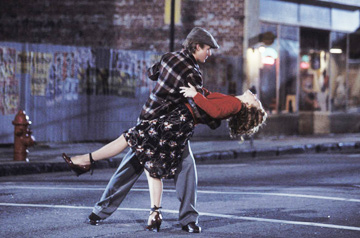 Although not a critics' favorite, The Notebook grossed $115,000,000 and has become a favorite of many romantics. How well do you know it?